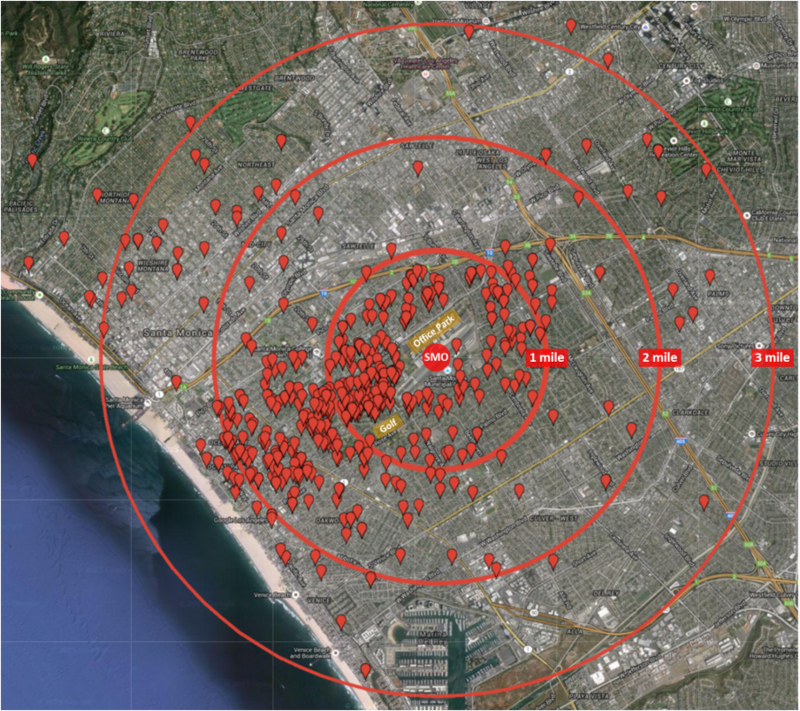 There are over 130,000 residents within 2-3 miles radius of the Santa Monica Airport. Red markers indicate a partial sample of documented complaints by residents that were presented to the FAA by Congressional Representatives. Click on map below to explore the map.